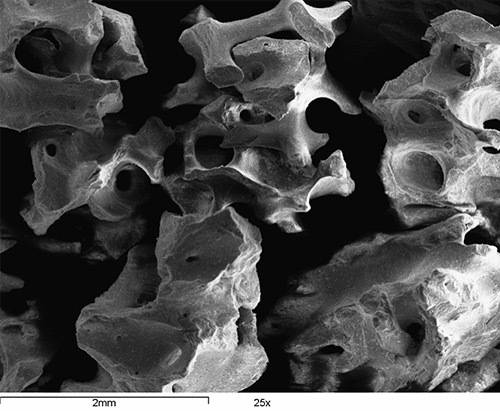 GEM Bone Graft is an osteoconductive, porous, anorganic, natural bone mineral with carbonate apatite structure derived from porcine cancellous bone. 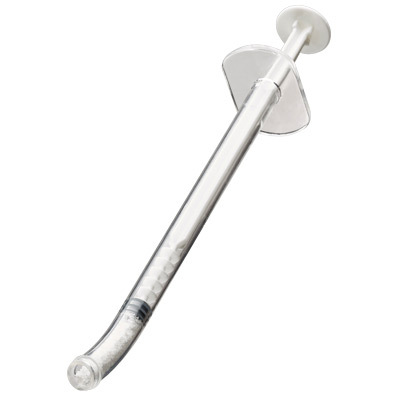 It is intended for use in oral surgical procedures involving bone repair and regeneration such as reconstructive treatment of the alveolar ridge; elevation of the maxillary sinus floor; filling of extraction sockets; periodontal defects; defects after root resection; apicoectomy; and cystectomy. The material porosity (or void space) and structure are two parameters that we have optimized in the development of these bone graft matrices. 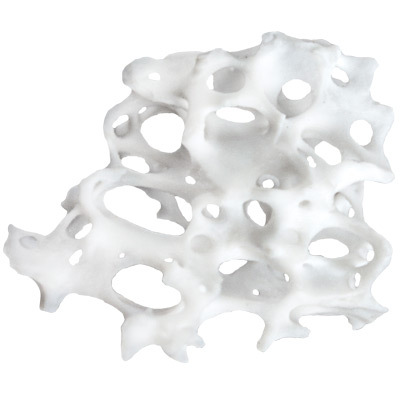 Maximizing the porosity of the material allows for increased void space available for bone regeneration and ingrowth. The material structure of carbonate apatite, being similar to the mineral structure of natural bone, supports and facilitates remodeling of the new bone. Our BONE GRAFTS GEM® Bone Graft and GEM® Bone Graft in Syringe deliver choices to clinicians by providing exceptionally high quality xenograft to human bone graft materials. 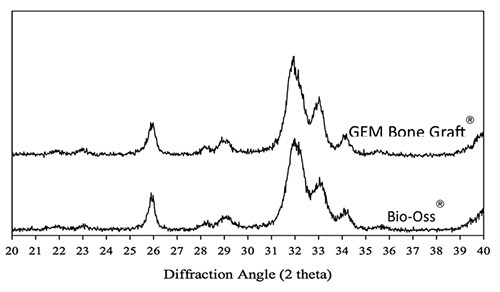 The diffraction pattern of GEM Bone Graft® and Bio-Oss® in terms of the key mineral reflections and the peak broadening profile of the respective mineral reflections are shown in Figure 1.0. The X-ray diffraction pattern of GEM Bone Graft® is almost identical to that observed for Bio-Oss®. Both diffraction patterns are close to the mature native bone diffraction pattern that is consistent with bone mineral of apatite nature with low degree of crystallinity6. 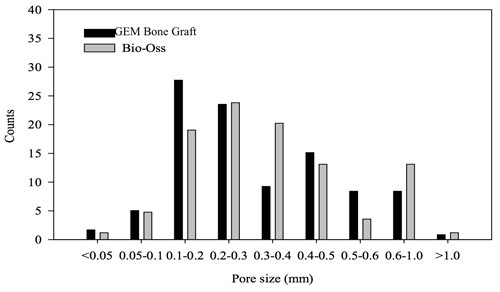 The following figures show the pore size distribution for the GEM Bone Graft® and Bio-Oss® particles of comparable range of sizes. 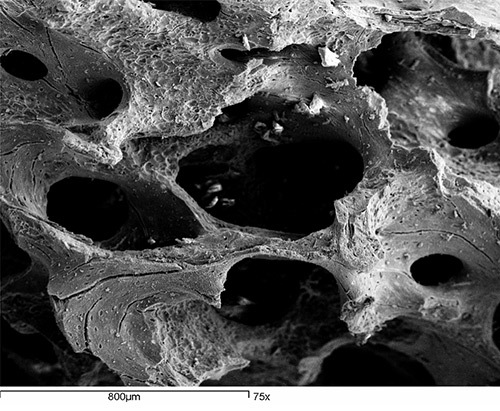 The majority of macropores for GEM Bone Graft® and Bio-Oss® are in the range of 0.1mm to 1.0mm1. 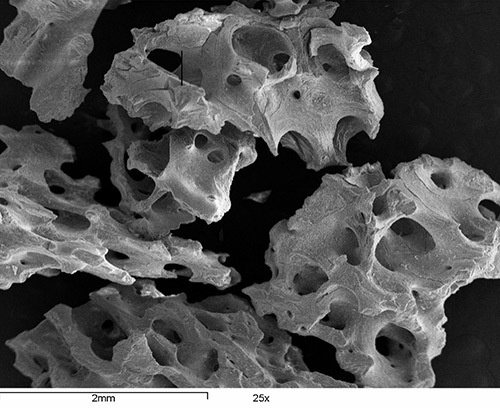 Deligianni DD, Katsala ND, Koutsoukos PG, Missirlis YF, Effect of Surface Roughness of Hydroxyapatite on Human bone Marrow Cell Adhesion, Proliferation, Differentiation and Detachment Strength. 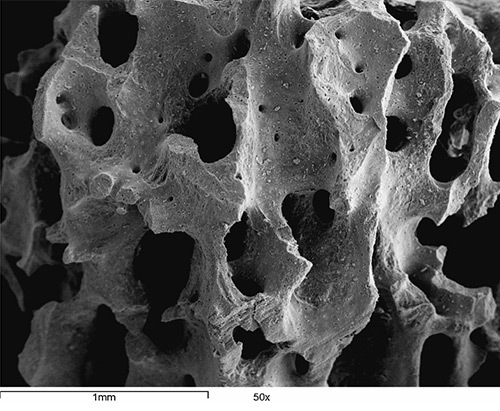 Elsevier Biomaterials 22 (2001) 87-96. Spense G., Patel N., Brooks R., Rushton N. 2009. Carbonate Substitution Hydroxyapatite. Resorption by Osteoclasts Modifies the Osteoblastic Response. Journal of Biomedical Materials Research Part A.
Ellies LG, Carter JM, Natiella JR, Featherstone JDB, Nelson DGA. 1988. Quantitative Analysis of Early in Vivo Tissue Response to Synthetic Apatite Implants. J Biomed Mater Res 22:137-148. Landi E., Celotti G., Logroscino G., Tampleri A. 2003. 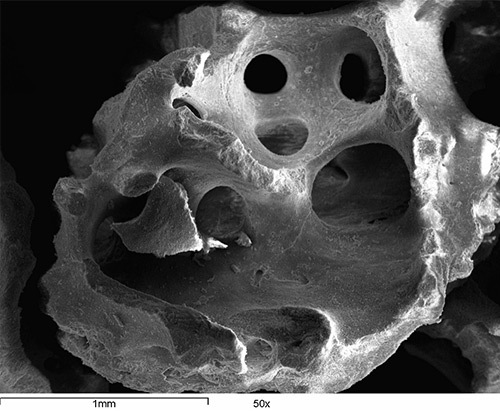 Carbonated Hydroxyapatite as Bone Substitute. Journal of the European Ceramic Society 23: 2931-2937. Tadic D. Epple M. A Thorough Physiochemical Characterization of 14 Calcium Phosphate Bone Substitution Materials in Comparison to Natural Bone. 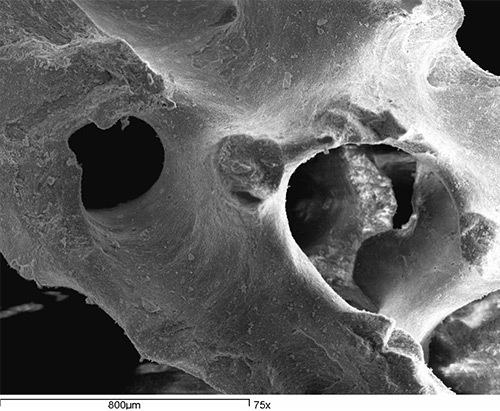 Biomaterials. 2004; 25 (6): 987-994. GEM® Synthetic Bone Graft Putty is a calcium phosphate-based mineral with a carbonate apatite structure similar to natural bone mineral combined with type I collagen derived from bovine Achilles tendon. 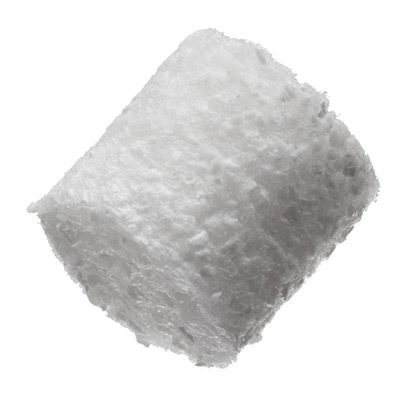 The mineral particles are dispersed within collagen fibers forming a 3-dimensional matrix. It is supplied dry and forms a moldable putty upon hydration. It is fully resorbed during the natural process of bone formation and remodeling. GEM® Synthetic Bone Graft Putty becomes moldable putty upon hydration. It is indicated for use in oral surgical applications involving bone repair such as augmentation or reconstructive treatment of the alveolar ridge and for the filling of periodontal defects in conjunction with products intended for Guided Tissue Regeneration and Guided Bone Regeneration.